My iPhone 6 Plus was so slow it was unusable. Each tap would take 2-3 seconds and everything was sluggish. I deleted all apps I wasn’t using and turned off Background App Refresh but nothing helped. 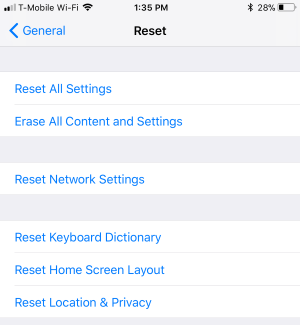 I was going to reinstall iOS completely, but stumbled across a forum post where someone reset their settings and things improved. So, last night I reset my iPhone settings and things have improved significantly. I wouldn’t say it’s fast, but it is usable again. I assume that the iOS update messed with some settings. 2. Turn off Background App Refresh for anything that doesn’t need it. Settings -> General -> Background App Refresh.